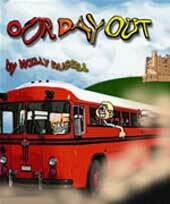 Our Day Out is performed in almost every school in the country. Below are just a handful of posters from different productions. 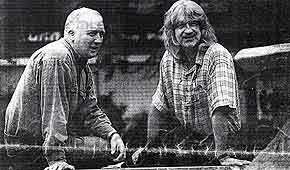 John Winstanley, now living in Australia, drew our attention to the video (right) from the 1983 production of Our Day Out. 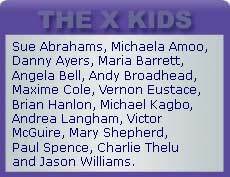 John was in the production at Liverpool’s Everyman. 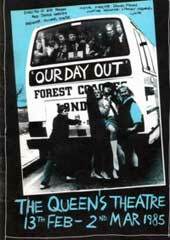 A musical stage version (not to be confused with OUR DAY OUT - THE MUSICAL) of the original television film first staged at the Liverpool Everyman in 1983 with songs by Willy Russell, Chris Mellor and Bob Eaton (who also directed). 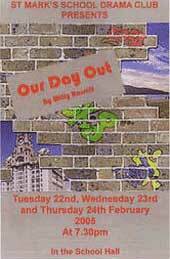 Directed by Bob Eaton & Kate Roland with Musical Direction by Chris Mellor. Stage version at Belgrade Theatre Coventry. "With Bob Eaton and Glen Walford I overhauled the whole show, restructuring, writing new songs, introducing new elements to the text; ever since the hastily put together first production I'd wanted to devote time to making Our Day Out into the really big musical that I thought it deserved to be. 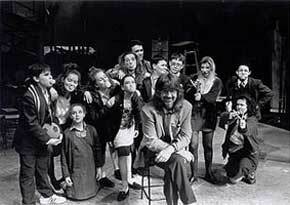 We got a long way towards achieving that in Coventry, helped in no small way by a great cast of young actors from the Coventry area. We didn't, though, fully get there and, along with Bob and Glen I'm still hoping that we can mount one more production, the one that will, in terms of musical theatre, take Our Day Out all the way. 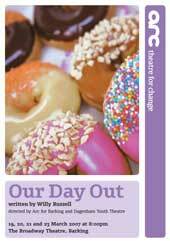 "I am a regular theatregoer and have been to see many plays, but I have never seen anything quite so excellent as Willy Russell's Our Day Out, currently showing at the Belgrade Theatre...."
Just one of the letters in the local press from audience members.